Twitter has become a news wall for many users as it’s the social network where information is exchanged rather than just linked to. What distinguishes Twitter from Facebook is that you are more likely to interact with people you don’t know in real life. This is great for finding out news and the network has really developed into a breaking news environment with many things showing up on Twitter before other media channels. It’s also the perfect medium for mobile users as a tweet is limited to the same length as a text message. 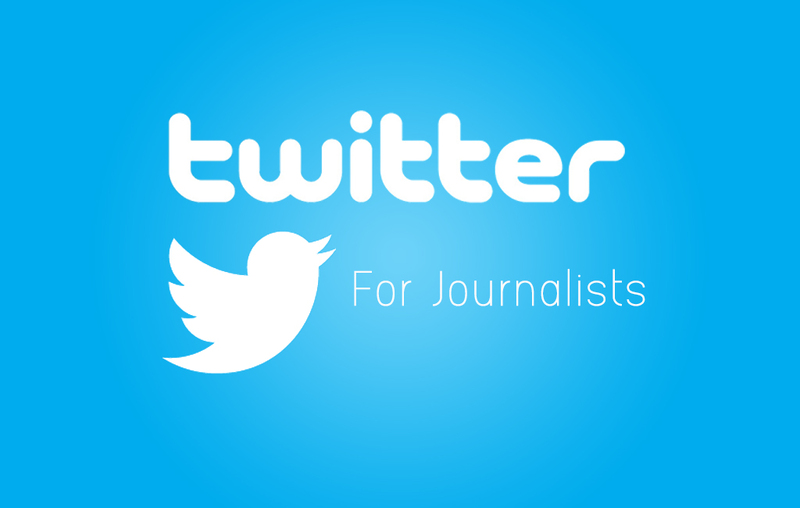 Twitter, like Facebook, has also recognized the value the platform has for journalists. They hired Mark Luckie as the head of Journalism and News for Twitter. I highly recommend following him for great links to tutorials and twitter chats on using Twitter to its full potential. Twitter is a fairly user-friendly as it lacks the complex privacy settings required in Facebook. In Twitter, your account is either public or protected. If your profile is public, then everything you post is public and visible to everyone—including to people who aren’t users of Twitter. If you protect your account, then protected tweets require you to approve who can see the tweet. You have multiple options for using Twitter, but if you are covering a specific beat or topic or you want to easily keep track of what certain people are saying, then I highly recommend Tweetdeck. Tweets can fly by quite fast in Twitter but Tweetdeck can help sort through the noise and make it easier to find things. I had a bit of difficulty using Twitter until I switched to Tweetdeck. (Tweetdeck is owned by Twitter. There are other third-party services similar to Tweetdeck, such as HootSuite, but I think Tweetdeck has the best interface and ease of use.) Tweetdeck also makes it possible to tweet for different accounts through one interface instead of having to log in and out of Twitter.com. Tweetdeck works by creating columns that display certain users, lists, interactions or searches. This makes it easy to see, at a glance, what is happening in certain circles. 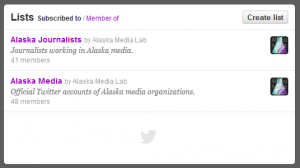 For example, I have columns for Alaska journalists, Alaska media outlets, Alaska leads–which are groups in Alaska that frequently tweet things that can be newsworthy, such a government groups or officials. This approach has made it really easy for me to follow along with what is happening in areas that I am interested in. The interactions column makes it easy for me to see who has followed me recently or has interacted with any of my tweets. A major advantage to using Tweetdeck instead of Twitter.com is the ability to schedule tweets to post later. This is really important if you are a frequent tweeter and retweeter. Staggering your tweets throughout the day helps keep from spamming your follower’s feeds. It’s also a great way to have posts linking to your content go up over the course of a day instead of all at once. Another advantage is how you can retweet. Using Twitter.com clicking retweet causes someone’s tweet to appear in your timeline as it appeared in yours. 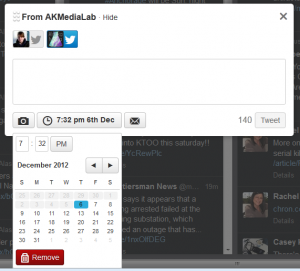 However, in Tweetdeck you can choose to Edit and Retweet which means you can add to the tweet and schedule it. Additionally, when you choose to Edit & Retweet, the tweet appears in your followers timeline with your profile pic instead of the pic of the original source. The credit to them is intact in the tweet, but having your pic on it decreases the chances that your followers might ignore the tweet because they don’t recognize the source. You can add Facebook accounts to Tweetdeck (same with Hootsuite) but I highly recommend you don’t. Facebook and Twitter are very different platforms and need to be used accordingly. Later on this topic, I will explain why Twitter and Facebook should not be linked. One account should not automatically post to the other. 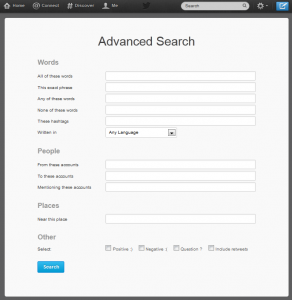 To get the most out of Twitter, mastering search is key. You can search by phrases contained in tweets, specific accounts, tweets that mention accounts or by people. What is often of most use to journalists though is the ability to search by location. Now one thing important to remember about Twitter is that users are not required to add a location to their accounts or their tweets. (This is why it’s difficult to estimate how many Twitter users there are in Alaska). 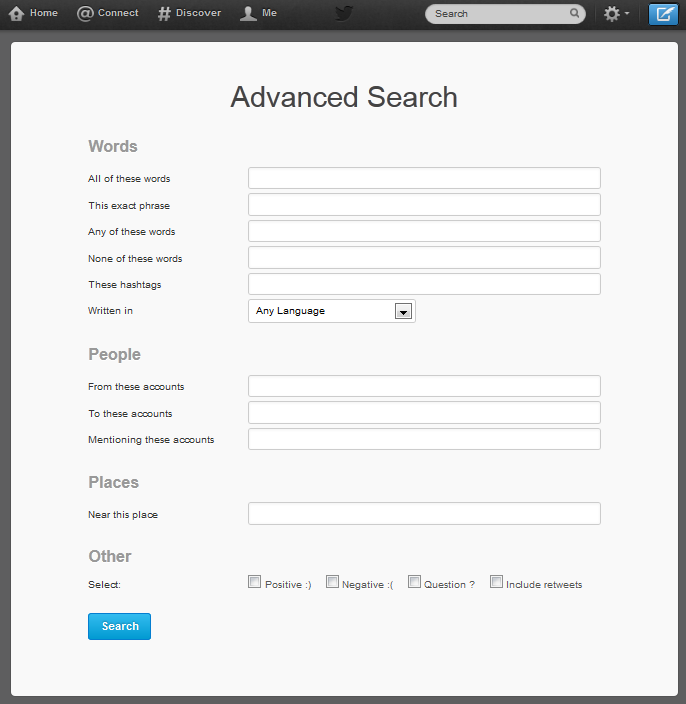 However, you can search for tweets that are self-identified as being in a certain place. 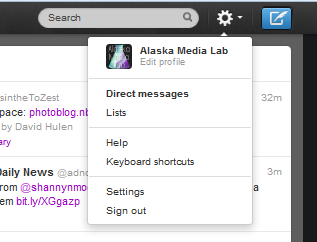 For example, I can search for tweets that are posted by users near Fairbanks, Alaska. This is really handy to track down people who may be reacting to a location-based event. This feature would have been the way to track Alaskan responses to the selection of Sarah Palin as the VP candidate back in 2008. The search could have looked for tweets from Alaska with either Palin’s name or with hashtags. Twitter lists are a way of organizing Twitter users that you want to get updates from. 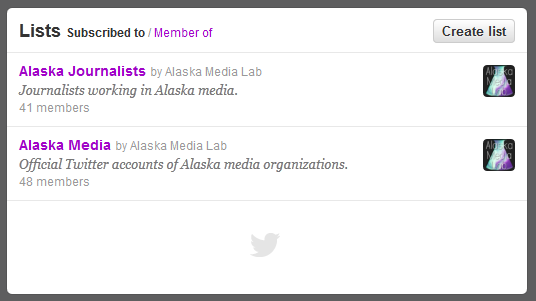 For example, Alaska Media Lab has a Twitter list for Alaska Journalists and Alaska Media Outlets that you can subscribe to. You can find Twitter lists that you want to subscribe to or create your own for your beat. Twitter lists also make it possible to get updates from specific users without having to follow that user. This is a great method for getting Twitter updates from politicians or political groups. You can either make a list by going to your profile and clicking lists and create one from there. Or you can go to an account you want to add to a list and click the person icon and select “Add to list.” You can either add them to an existing list or create a new one. Making a Twitter list for any local government services and emergency services, local NOAA offices, and police departments, etc is a smart way to get the scoop on when an emergency has happened and it makes it easy to retweet any important notices to your followers. HT : When you see this it most often means “hat tip” and is used as a way of giving recognition to the original sharer of content you may be tweeting or retweeting. So you would likely see it written as HT @twitterhandle. MT : This is “modified tweet.” Put this before a retweet that’s been changed in someway such as shortened. RT : “Retweet” is put in front of anything you’ve retweeted from someone else. Favorite : this is just a quick way of telling someone you liked their tweet. It’s also a great method for saving a tweet for later if it has a link that you want to read but don’t have time for. Make sure that you completely fill out your profile and choose good images for your profile and cover photos. If you are setting up an account for the first time, try to select a handle with your own name in it. Avoid putting your employer, school, job title, etc in your handle. Think about the future. You always want to be able to take your own brand with you and to be identifiable. If you are using both a public Facebook account and twitter, I would recommend using the same profile photo. It makes it much easier to find you on both platforms.